Prices include all bait, tackle, raingear, vacuum packing and fish boxes for airline travel, non-alcoholic beverages, snacks, lunch on the boat and airport transfers. Meals at the lodge include breakfast, lunch and dinner and non-alcoholic beverages. 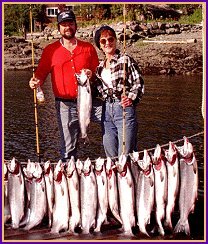 Prices do not include airfare, alcoholic beverages, taxes, fishing licenses, custom fish processing such as canning, smoking or shipping costs. Fishing licenses may be purchased aboard the boat. Please bring your own rubber boots. Prices are based on parties of 4 persons. Discount 5% for parties of 5 and 10% for parties of 6. 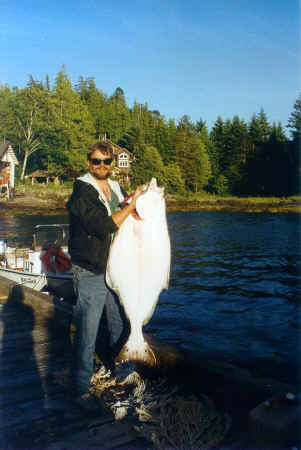 Add $475 per additional day of fishing and lodging. Subtract $65/night/pp without meals. A $500 non-refundable deposit is required to secure your reservations. Deposits must be increased to 25% after March 1st. Payment in full is due 30 days prior to your arrival. Prices are subject to change until reservations are made. * Half days of fishing on arrival and departure days.